Qantas has opened the first phase of their new domestic business lounge and oh boy is it pretty! The airline is revamping their Melbourne lounges with a major upgrade program set to offer new designs, more seating and new dining options. 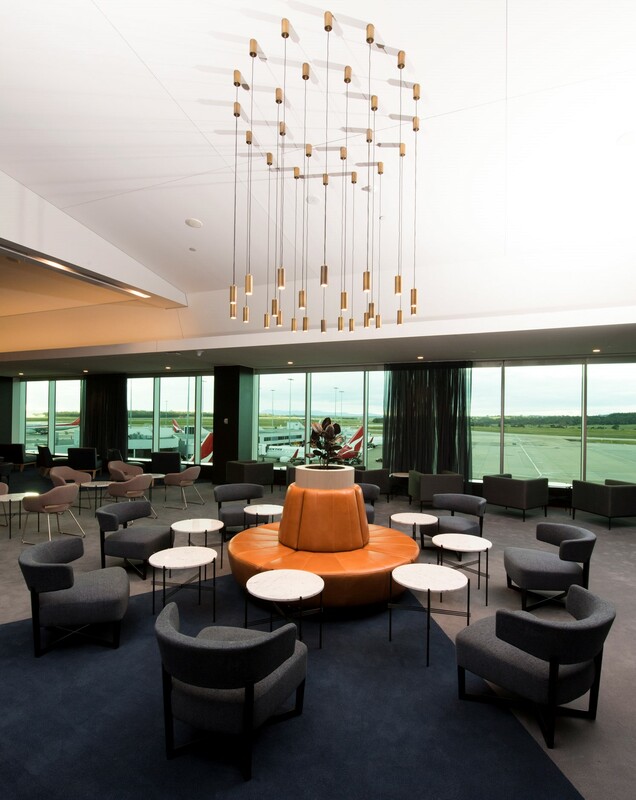 The Melbourne Qantas Club and Domestic Business Lounge are being built over a 12-month period, with the lounges completed in stages to allow ongoing access during the build, with both lounges expected to be fully functional by early November. 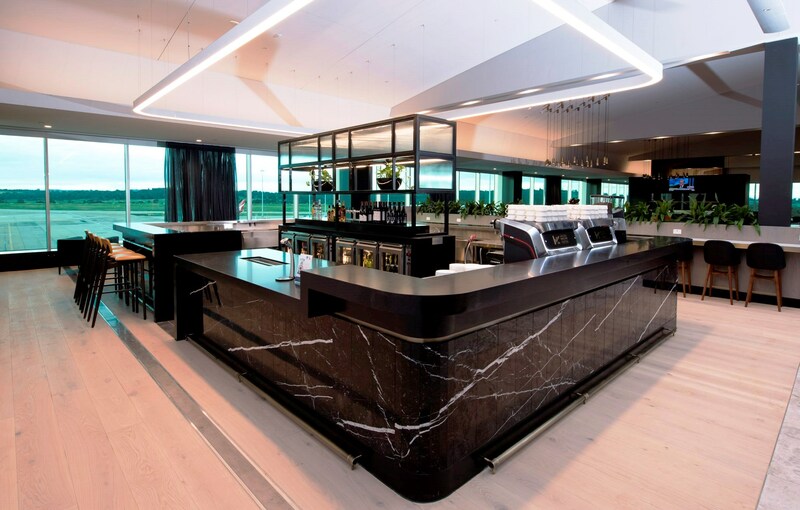 “Melbourne is one of the most frequented ports on our network and the investment in our lounges will give our customers more space, new dining options and a premium design,” Philip Capps, Qantas Head of Customer Product & Service Development said. “The sophisticated design is inspired by the urban Melbourne culture and once the build is completed, we know our customers are going to enjoy the extra space and Asian-inspired dining experience. 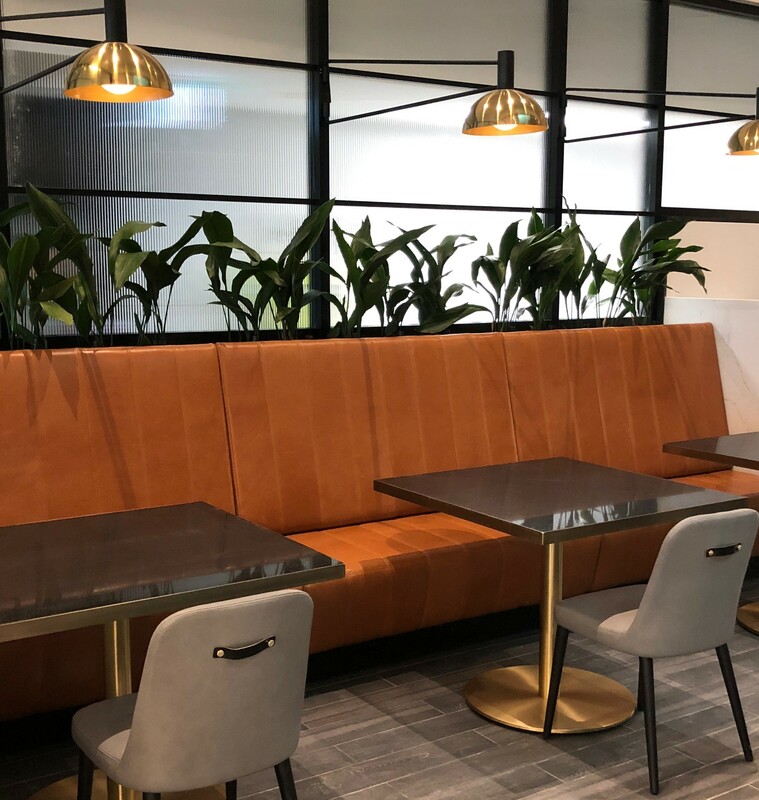 Offering views of the tarmac, the Melbourne Domestic Business Lounge has been completely redesigned with more seating and more dining options. Designed by Woods Bagot, the lounge is styled on a supper club with dark tones and sophisticated finishes used throughout to symbolise the chic, urban feel of Melbourne. Finishes include dark luxurious Nero Marquina marble from Northern Spain, natural timber floors, fluted glass, brass and black metal fittings and custom brass lighting from Volker Haug & Aglo. 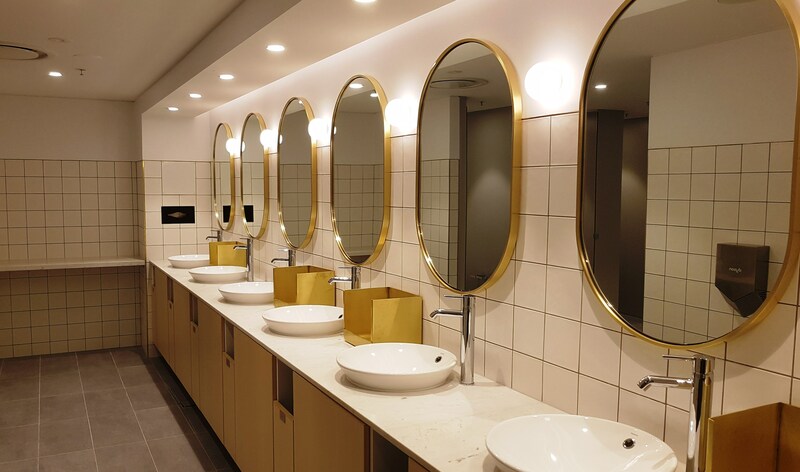 The business lounge features will include wi-fi, communal work zones with large work tables and wireless printing, increased number of power and data outlets at all fixed seating positions throughout the lounge, TV screens and shower suites complete with ASPAR by Aurora skincare products. Not to mention the stand out food and drink offerings, including seasonal menus by Neil Perry, a bar serving barista coffee and a selection of beer, wines and non-alcoholic drinks plus a range of signature drinks supporting hydration and wellness. Upon completion, the combined lounges will have 20 percent more seating than the previous layout. The Qantas Club will accommodate 530 customers and the Business Lounge will accommodate 350 customers. It looks horrible. What caustic design. The chairs and tables around the orange space ship looks like duck duck goose gone bad.